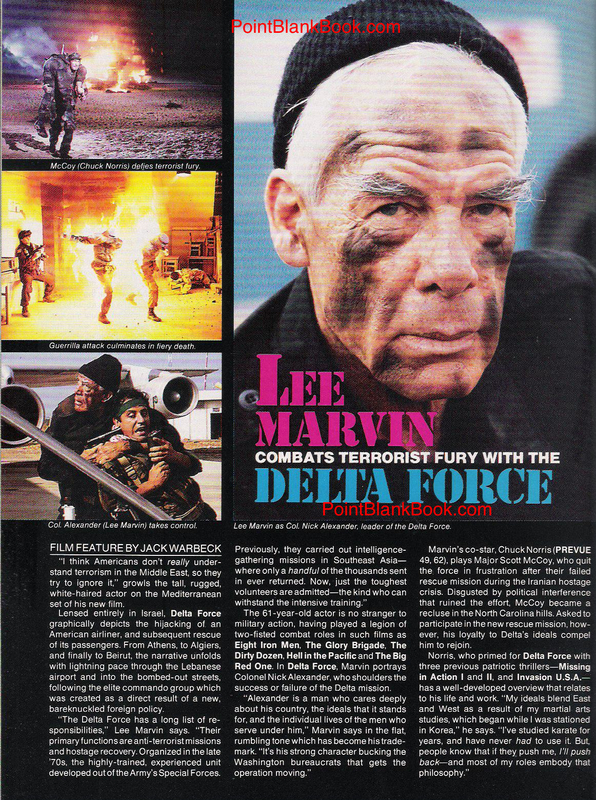 The 9/11terrorist attack took place more than a decade after Lee Marvin passed away, which meant he never lived long enough to see the threat of terrorism on American soil. 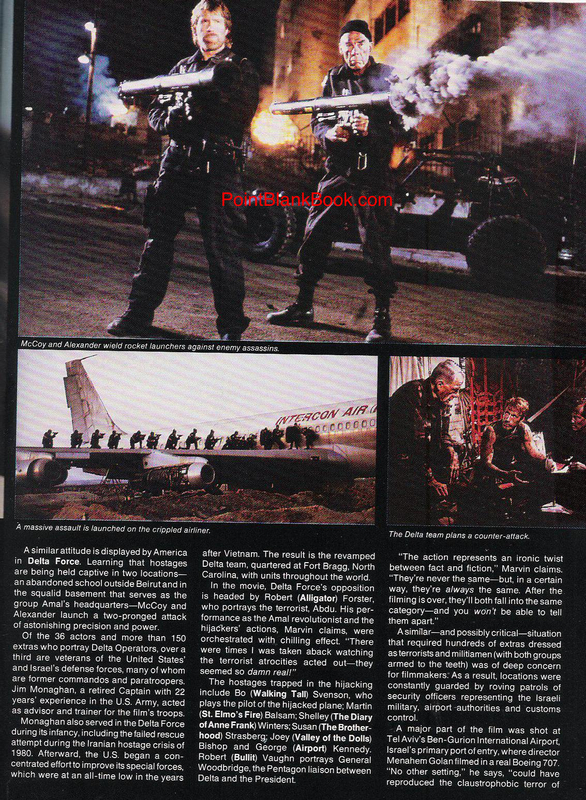 He did, however, make a live-action cartoon about the possibilty that which, sadly, proved to be his final theatrical film appearance. 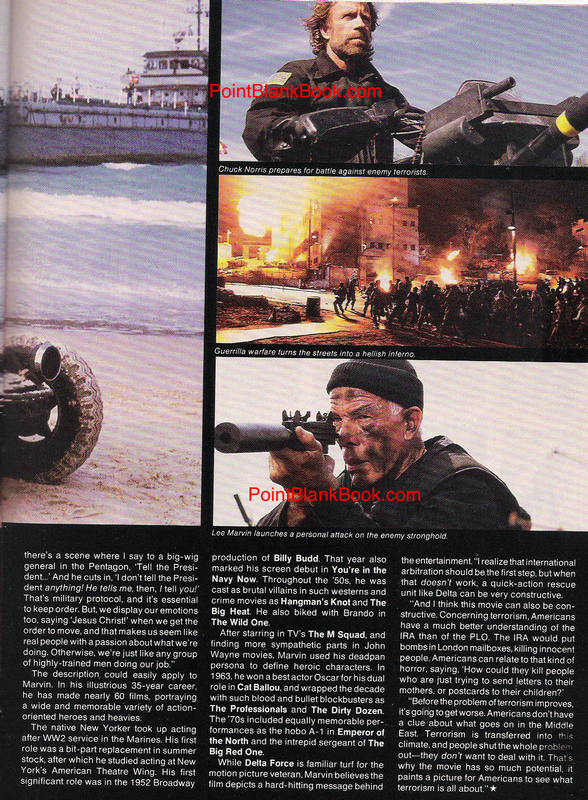 Why he agreed to be in the painful-to-watch Chuck Norris opus, Delta Force, is explained poignantly by his agent within the pages of Lee Marvin Point Blank. 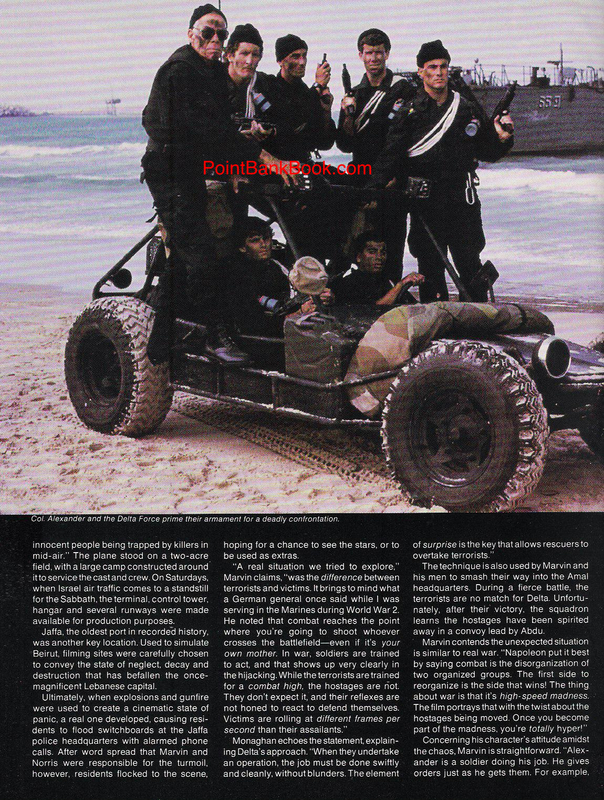 Marvin’s feelings, however, about dealing with terrorism, were best explained in this article in PREVUE magazine which was meant to publicize the film. Marvin does the journeyman task of promoting the film but, if you read between the lines, you can tell what his real feelings were concerning such an occurence….